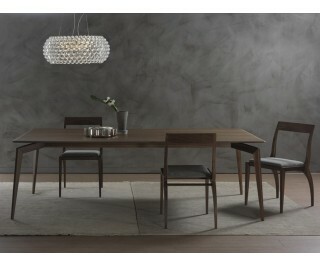 Dining table with structure in solid canaletto walnut or ash. Wooden top veneered in canaletto walnut or ash or in tempered glass. Available finishings: WG wengé, NC walnut, TB tobacco, NK canaletto walnut, Open pore matt lacquered.